Last week an impressive group of young future leaders descended upon Canada’s capital to take part in the third annual Youth Innovation Summit. 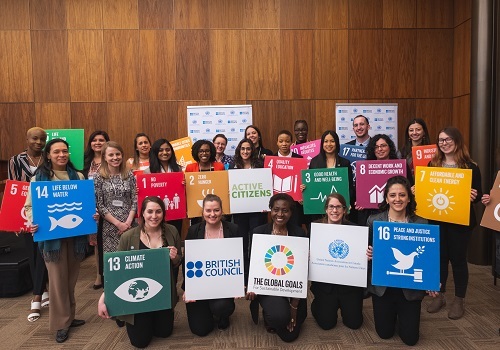 Hosted by the United Nations Association in Canada (UNA-Canada), the British Council in Canada and the British High Commission, the Summit brought 12 young Canadians together – participants of the Active Citizens training programme – to pitch their ideas for social change in their communities and beyond. Active Citizens helps young Canadians aged 18 to 35 develop knowledge and skills in inter-cultural dialogue, leadership, communication and citizenship. Using the British Council’s Active Citizens toolkit, they develop local social action projects that will help tackle challenges that align with the UN’s Sustainable Development Goals (SDGs). Since the launch of Active Citizens in 2009, the programme and its toolkit have been used in 68 countries with the help of 900 partner organizations, training over 250,000 Active Citizens who have designed and implemented a whopping 9000 social action projects worldwide. After the 12 participants pitched their ideas, the judges deliberated. It was a tough decision considering the fantastic group of initiatives at play, designed to tackle such diverse issues as poverty, inequality, climate change and unemployment. 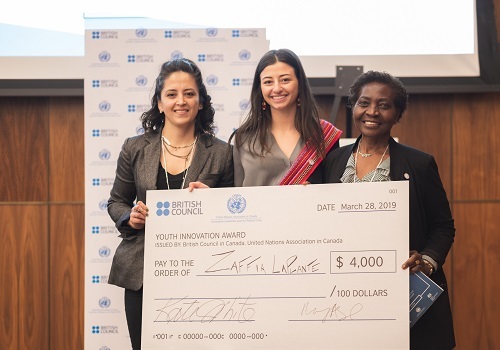 In the end, the top prize, the Youth Innovation Award – with a check of $4000 – was awarded to Zaffia Laplante and her clean-tech startup Hempergy. Based in Waterloo, Ontario, Hempergy is a social enterprise with a mission of tackling the housing crisis and promoting economic development in indigenous communities with the use of upcycled materials from hemp and cannabis. For Laplante, a 22-year-old member of the Metis Nation of Ontario, the idea for her social action project took root in her grandmother’s garden in North Bay, a place she adored as a child. It was there that she witnessed 500 tomato plants, cucumbers, peppers and other produce come to life. “I thought that was normal,” she said. University was an eye-opener, though, when she learned that no one even plants one tomato plant. Then a couple of years ago Laplante heard about the legalization of cannabis and was concerned about the waste that would result. That passion for sustainability would soon meld into another: her indigenous culture and heritage. “I started finding out more about my culture and the widespread housing, water and food security crises taking place in many communities,” she explained. The question became: “Is it possible for hemp and cannabis to be used for some of the housing and infrastructure issues across Canada? After months of research, Laplante soon learned that hemp waste can be made into natural insulation materials to improve heating and energy efficiency for buildings and homes. No doubt, she was onto something. Something that the judges at the Youth Innovation Summit were keen to support – and for good reason. The Wilfred Laurier student, in the last year of Global Studies, is currently establishing partnerships and figuring out the way forward. Though focused first on construction materials, she’s also looking into how cannabis and hemp waste can be used in the cosmetic and textile industries. It’s not just about creating indigenous end users, though. Laplante’s vision goes deeper. A lot deeper. ‘I’m not just trying to develop a product to solve home and housing conditions, I’m actually trying to create a whole new economic development model for indigenous communities.” That vision has, as its foundation, the Truth and Reconciliation call to action #92. Elisa Birnbaum is the publisher & editor of SEE Change and the host of its podcast. She’s also the author of In the Business of Change: How social entrepreneurs are disrupting business as usual.